Photos by Jim Hudson, click for additional photos. 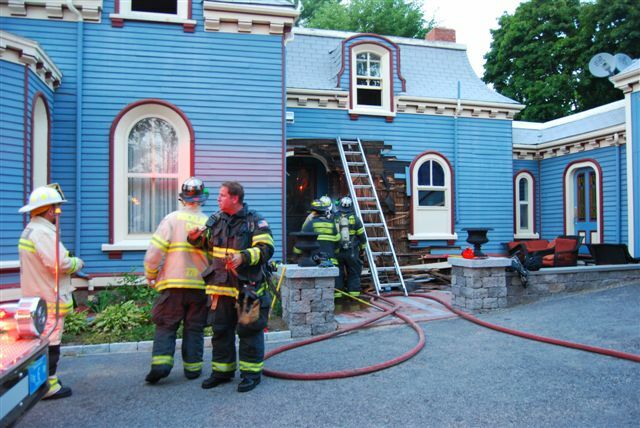 10-10-10: Rockland's historic 1745 House destroyed by early morning fire. During the early morning of October 10, 2010… 10/10/10 the Rockland Fire Department received a report of a building fire, on Mackinlay Way. 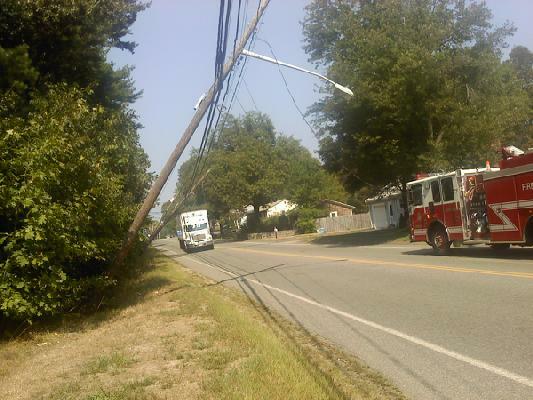 Rockland Engine 3, Engine 4, and Ladder 1 were dispatched to the scene as well as Box 33 being struck for manpower. Fire Chief Scott Duffey was first on scene at approximately 5:30 am, and reported the building “fully involved.” Arriving units were ordered to start wetting down a nearby church because it posed an exposure problem. 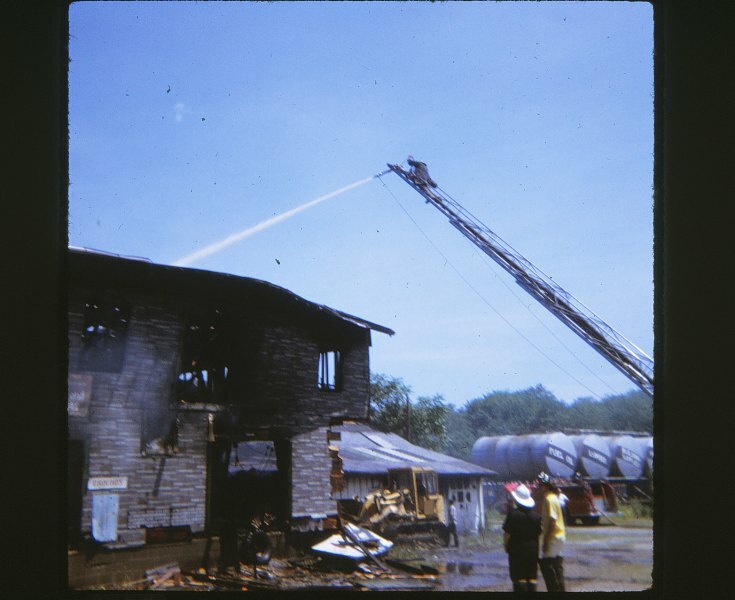 Exterior operations were ordered with lines because the 1 and ½ wood frame building was vacant. The building happens to be the oldest home in Rockland. This historical landmark was established in 1745 and has been located across from the High School for decades. The firefighters were aware of this fact and did not rush inside quickly, because there was a threat of a floor collapse. 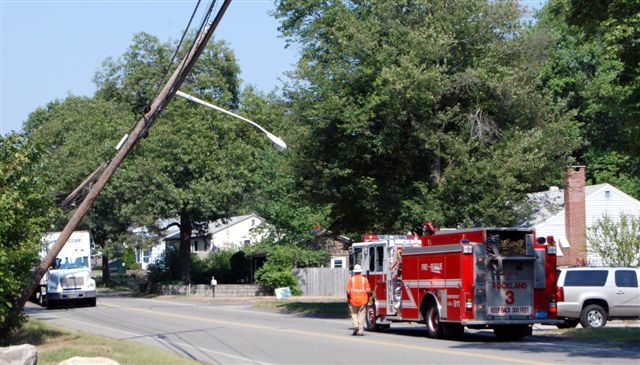 Abington Fire Department provided mutual aid on the scene, as well as a few Fire Chiefs from surrounding towns. Rockland Ladder 1 was raised to provide a better aerial view of the blaze and to wet down the scene. The bulk of the heavy fire was knocked down around 6:45 am. Following this the firefighters began to wet down hotspots and start overhauling of the building. The Massachusetts State Police Fire Marshall was called in because of the suspicious nature of the fire. This historical building was demolished shortly after 12:00 in the afternoon, then all units were finally able to clear the scene. Nobody was injured during the fire and it is still under investigation. A piece of the town’s history met an early end Sunday. The 1745 House, whose demolition was pending, was torn down after being damaged in an early-morning fire that officials are calling suspicious. A passer-by went to the fire station at 5:31 a.m. Sunday to report the fire, Rockland fire Lt. Tom Heaney said. Since all firefighters were out on a medical call, Heaney said the firefighter serving as dispatcher went to the scene alone in a back-up engine. “The fire was through the roof on arrival,” Heaney said. The building was unoccupied, so the first priority was to keep the fire from spreading to the nearby Trinity Episcopal Church, he said. Along with Fire Chief Scott Duffey, the firefighter set up a hose between the two buildings to protect the church until the other firefighters had cleared from the medical call, Heaney said. The fire in the one-and-a-half story, Cape-style house was brought under control within an hour, he said. Abington firefighters assisted at the scene, while Hanover firefighters covered the Rockland station. Because of the damage to the structure, “it was deemed unsafe by the building inspector and the fire chief, and they called in an excavator to demolish it,” Heaney said. The cause of the fire is suspicious, and the state Fire Marshal’s Office has been called in to assist in the investigation. The 1745 House, also known as the Samuel Greene homestead, is on MacKinlay Way. The house had been moved twice in nearly 200 years. Originally on Plain Street, it was moved to Market Street in 1818. But when that property was purchased for commercial development 38 years ago, residents saved the house by moving it again to its present location. The house was used as a museum for about seven years after that. But since then, the wooden structure had fallen into disrepair, with roof and beams rotting and a foundation that needed work. Historical commission Chairman Jim Paul estimated in June it would cost more than $100,000 to restore the house. Paul said securing grant money to preserve the house was difficult because the house had been moved and thereby lost much of its historical significance. Earlier this year, Deputy Fire Chief William Ferguson had designated the house as a safety hazard, and plans were made to tear down the house this fall. About two dozen residents attended a farewell ceremony for the house in June. The event included a musket salute by Revolutionary War re-enactors and a visit by local members of the Daughters of the American Revolution. Please visit Liberty Mutual's BeFireSmart.com website, take the fire safety quiz and credit the Rockland Fire Department. We're committed to helping families live safer, more secure lives. And we're proud to partner with fire departments across the country to help families learn more about fire safety and fire prevention. Now is your chance to learn, and at the same time, give back! Your fire station could earn $10,000 this fall! The Fire Safety Pledge program is back again this fall on BeFireSmart.com, the interactive fire safety resource for parents, teachers, fire fighters, and kids from Liberty Mutual. Now through October 31st, 2010, learn more about fire safety and fire prevention by taking the Fire Safety Pledge Quiz. Credit your completed quiz to your fire department and your local firefighters could be one of ten fire departments to receive $10,000! Some "new" old slides from the 1970's. Click the photos for more pictures. 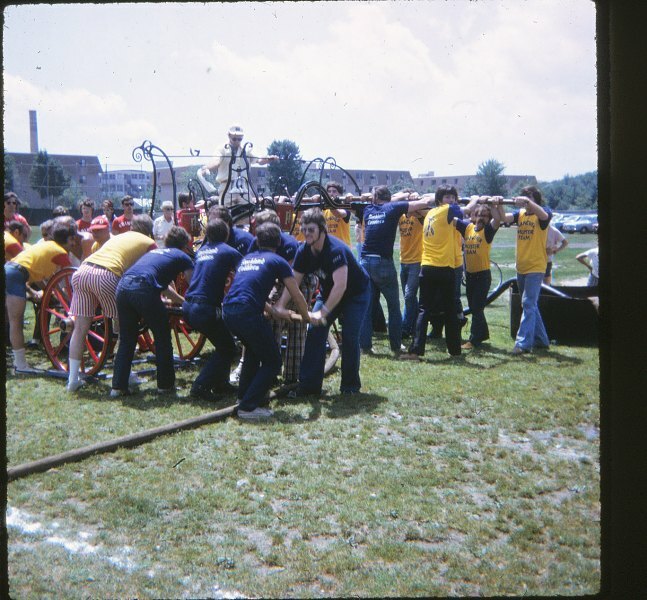 Fire Muster slides from 1972 and 1974. Note the full beards warn during the photos from 1974 for Rockland's 100th anniversary. During these musters they pumped our 1869 King Philip Hand Tub. Fire at the Rockland Coal and Grain from the 1970's. Rockland Coal and Grain was located on Market St. where the Rockland Police station is now. 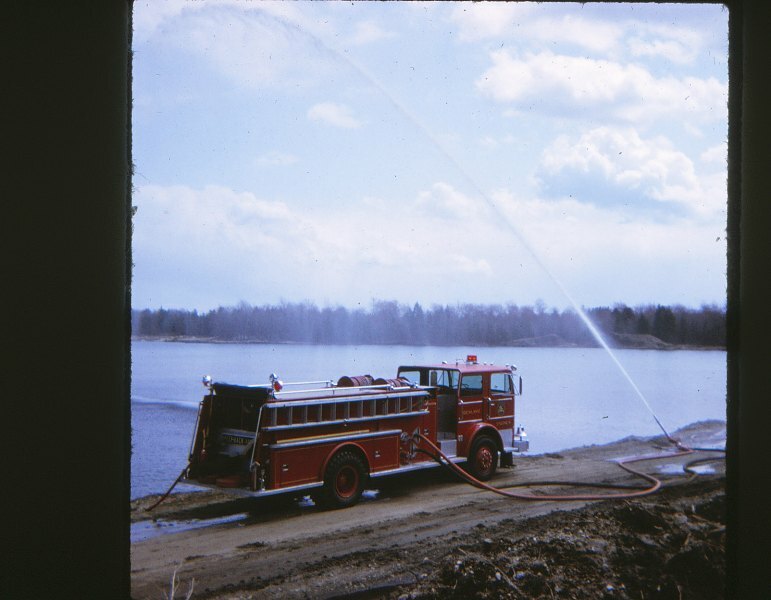 Slides from a pump drill at the Town Reservoir from the 1970's. Photos by Jim Hudson. Click above for more photos. A fire in an industrial oven at National Coating Corporation on Beech Street caused an estimated $25,000 in damage, fire officials said. The call came in at 8:20 a.m. Twenty-five people were working at the 70,000 square foot building when the fire started inside an over that heats chemically treated products, Deputy Chief William Ferguson said. National Coating applies chemical coating to textiles, paper, automotive parts and other items. The fire started when paper that was rolling on a conveyor through the over backed up, Ferguson said. The oven is 10 to 12 feet wide and 100 feet long and is heated with gas fired burners, he said. The company has four or five of the ovens, Ferguson said. The paper product being treated was intended for vehicle clutch covers. Residue build-up in the exhaust ducts of the oven also likely contributed to the fire, Ferguson said. The fire was extinguished fairly quickly, he said. Abington and Hanover fire engines responded, along with a ladder truck from Whitman. A Hingham engine covered the Rockland department during the fire. All fire companies left the scene by 10:30 a.m., said Ferguson. On May 11, 2010 Rockland Selectman Ed Kimball spent part of the day riding-along with Group One. Selectman Kimball first toured the fire station getting a first hand look at the apparatus and condition of the station. After the tour he was fitted for gear and participated in a "Jaws of Life" extrication drill and car fire drill. He was able to operate all of the various tools that are utilized in an extrication as well as take the nozzle and attack the fire. BOSTON— April 16, 2010 – Blue Cross Blue Shield of Massachusetts (BCBSMA) today announced the winners of its’ Firefighter Fitness Challenge, a 12-week challenge pitting over 160 firefighters in seven cities/towns (Arlington, Framingham, Hingham, Hudson, Ludlow, Peabody and Rockland) in a friendly competition to improve their health and wellness. Hudson, the winning station, received a $2,000 wellness grant today at Florian Hall in Dorchester. Several other prizes of a $50 value were given to the Top Performers and Most Improved from each station. Success of the participants was measured by FitAware ActionTrackers provided by AWare Technologies, devices that record the number of “steps” each person took during the challenge, whether walking, running, or climbing a ladder. Hudson came in first place with 14,126 average steps, followed by Arlington (12,877), Ludlow (11,594), Rockland (11,120), Framingham (10,636), Hingham (10,332), and Peabody (8,226). Top Performers by station include: Rob O'Hare, Hudson (1st overall); Craig Brown, Arlington (2nd overall); James Bailey, Arlington (3rd overall); Scott Kozak, Ludlow; Mark DiTocco, Rockland; John Schultz, Framingham; Marc McManus, Hingham; and Adam Skelton, Peabody. In looking at health care trends of labor unions, including firefighters, BCBSMA determined that many individuals were not visiting their Primary Care Physicians regularly, and could use help improving their fitness and lowering the risk of cardiovascular disease. Beginning last fall, participating firefighters began taking part in nutrition and educational seminars to prepare them for the 12-week fitness challenge that kicked off in January. They underwent pre-challenge biometric screenings to evaluate overall health and fitness, and benefited from on-site physical training sessions and healthy cooking demonstrations during the challenge to help them with their progress. The challenge also had a social networking component that kept participants engaged. Firefighters could monitor progress tracked by their ActionTrackers on the FitAware website and communicate online with each other throughout the 12 weeks. The top performers from each station achieved an average number of steps ranging from 12,924 to 46,189, and those showing the most improvement saw results ranging from a 57 to 1,342 percent improvement from the start to the finish of the challenge. Rob O’Hare, Hudson firefighter and top performer across all stations notes, “It was not easy to get the steps that I did, but the ActionTracker gave me the motivation and the accountability that I needed to stick with it. This challenge has helped me reflect on areas of my life I've been ignoring.” Rob was the firefighter that made the seven-hour trek from Hudson to Arlington on foot. Blue Cross Blue Shield of Massachusetts (www.bluecrossma.com) was founded 73 years ago by a group of community-minded business leaders. Today, headquartered in Boston, BCBSMA provides coverage to nearly 3 million members, 2.5 million in Massachusetts. BCBSMA believes in rewarding doctors and hospitals for delivering safe and effective care, and in empowering patients to take more responsibility, become educated health care consumers and become stronger partners with their doctors. Blue Cross Blue Shield of Massachusetts is an independent licensee of the Blue Cross Blue Shield Association. Rockland Fire Department Lt. Craig Erickson working hard during the relief effort in Haiti. He was part of a disaster relief team that arrived in the country two days after the initial earthquake on Jan. 12. Rockland Fire Department Lt. Craig Erickson getting ready to board a Coast Guard C-130 bound for Haiti. He was part of a disaster relief team that arrived in the country two days after the initial earthquake on Jan. 12. A collapsed building in Port Au Prince, Haiti, as seen by Fire Department Lt. Craig Erickson. A scene of destruction in Port Au Prince, as seen by Rockland Fire Department Lt. Craig Erickson on his recent relief mission to the country as part of a DMAT team based out of Mass General Hospital in Boston. A helicopter landing at Gheskio Field Hospital in Haiti, as seen through the eyes of Rockland Fire Lt. Craig Erickson on his recent mission to help the ravaged country. Haitian residents pulling people out of the rubble in a section of Port Au Prince, as seen through the eyes of Rockland Fire Lt. Craig Erickson. Members of Rockland Fire Lt. Craig Erickson's disaster relief team in Haiti rush to help a wounded patient. A surgery scene at Gheskio Field Hospital in Haiti, from where Rockland Fire Lt. Craig Erickson recently returned. A Haitian boy at the Gheskio Field Hospital holds up a picture of hope. Rockland Fire Lt. Craig Erickson was stationed at the field hospital, where he helped with relief efforts. Rockland Fire Department Lt. Craig Erickson is glad to be back at his regular job after deploying to Haiti to assist in relief efforts there. As a Rockland firefighter for the last 26 years, Lt. Craig Erickson had never seen such destruction. Erickson was part of the first wave of relief efforts to Haiti with a Disaster Medical Assistance Team (DMAT), based out of Mass General Hospital in Boston, after a 7.0 earthquake hit the small country on Tuesday, Jan. 12. He and his team, known as DMAT MA 1, founded by Dr. Susan Briggs, arrived there on Jan. 14 and experienced the aftershock that shook the country once again. It measured 6.2. Getting to Haiti wasn’t easy either, according to Erickson. As he and others on their way to help with the relief effirst flew over the Turks and Caicos in a standard passenger plane around the size of a 727, the aircraft suddenly banked left and pulled straight up. Another plane passed directly underneath Erickson’s aircraft. “Our plane lost one or two engines and fell,” he said, noting the plane was full of people. Although it was a harrowing situation, the plane was able to land on the Turks and Caicos. Erickson and the people on his plane transferred to a Coast Guard aircraft and took off for Haiti. As they approached the country from the air, Erickson said he saw something that disturbed him even more. But that was nothing compared to seeing the disaster up close and personal. Being one of the first to arrive in Haiti for relief purposes, Erickson and his team witnessed complete devastation. Crowds of people were living in the street in horrible conditions. Dead bodies were being burned in the street, as there was no place to put the dead. Buildings had been transformed into piles of rubble, where people were still trapped inside. Erickson said the area of Port Au Prince, the epicenter of the earthquake, was also one of the epicenters of gang violence in Haiti. Serving as the logistics chief for DMAT MA 1, Erickson oversaw medical equipment, the medical facilities and the pharmacy. Erickson said DMAT teams, which are located all over the United States, are groups “of para-professional medical personnel designed to provide medical care during a disaster or other event…to supplement the standard DMATs, there are highly specialized DMATs that deal with specific medical conditions such as crushing injuries, burn and mental health emergencies. His team was located in an area of Port Au Prince and it immediately established the Gheskio Field Hospital, a makeshift medical facility that offered triage, operating rooms, a pharmacy and other areas for care. “We had about 35 tents set up where we could do all kinds of medical procedures,” Erickson said. He said his DMAT team was working in concert with an International Medical Surgical Rescue Team (IMSRT), also based out of Mass General Hospital. Working with the medical teams was the 82nd Airborne, which was on hand to provide protection, as Haiti is a very dangerous place. As his team and others addressed the ailing people, Erickson said the heat was a big factor influencing working conditions, as the humidity was affecting some of the medical equipment. The heat also affected the generators running the equipment, so teams had to be careful during medical procedures. 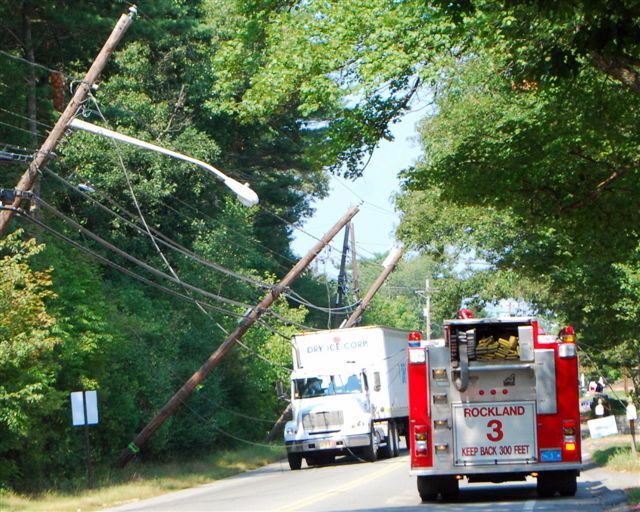 Sometimes there would be power surges and sometimes things would just lose power. One of the more profound moments occurred during one of these outages. Erickson said a ventilator that was keeping a small infant alive lost power at one point. The doctor taking care of that baby manually operated the ventilator with his hand for the next eight hours until it could be fixed. “That was remarkable,” Erickson said. He added everyone on hand – whether they were a doctor or member of the military – “worked outside of their areas of expertise. “It was a high-intensity atmosphere where we were all just trying to save as many people as possible,” Erickson said. He added about 500 patients were treated at any given time at the field hospital. He said nine children were born in that hospital while he was there. Erickson said sometimes, his team and others would leave the field hospital and venture out to help people in other areas of Port Au Prince. But the 82nd Airborne had to accompany anyone that did that, given the dangers. “To see the DMAT, the IMSRT and the 82nd Airborne working together – it was pretty amazing,” Erickson said. “It was extremely unique. We saved a lot of lives together. I think it was a learning experience for everyone who showed up. 1/21/10 Port au Prince, Haiti - Craig Erickson, cq, a firefighter in Rockland, MA, worked with members of the 82nd Airborne Division to bring USAID toiletries supplies inside the hospital grounds. Officials from USAID insisted on dropping off a huge delivery of toiletries at the Gheskio Field Hospital (the DMAT/IMSuRT hospital) in Port-au-Prince, Haiti on Thursday afternoon, January 21, 2010. They did, however, distribute them, and the DMAT and IMSuRT teams cannot distribute goods for security reasons. So now these resources are sitting inside the Gheskio Field Hospital until someone or some organization figures out how to distribute them safely. Story by Stephen Smith/Globe Staff. Dina Rudick/Globe Staff. BOSTON -- As one group of doctors prepares to leave for Haiti, another is returning. A group of doctors, nurses, and EMT's arrived at Logan Airport on Tuesday night and talked about an experience they will never forget. The group was happy to arrive home, but leaving Haiti was hard. 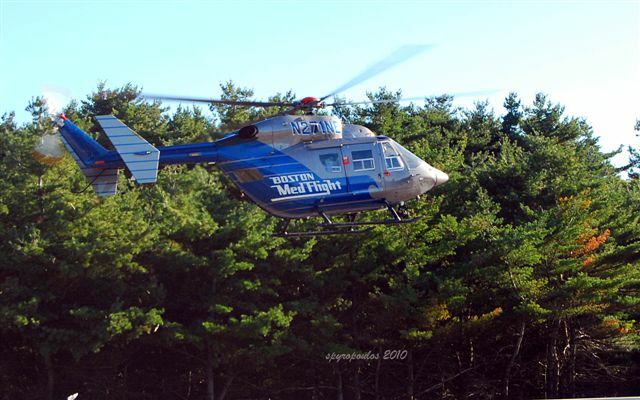 In two weeks, the Massachusetts Disaster Medical Assistance Team set up a field hospital and treated over 500 patients. However, the amount of help still needed weights heavily on them. Dottie Vojack, an emergency room nurse from Boston Medical Center has worked with the team for years. She responded to the earthquake in Iran, but said nothing compares to the destruction in Haiti. “Really, it’s bittersweet. We did amazing things...took care of people, saved hundreds of lives, but there is still so much more to do there,” said Vojack. The team stayed indoors at first but aftershocks forced them to sleep outside. Every day they dealt with language barriers, dwindling supplies, and no running water. “Normally here in the United States we put 10 or 15 people on one person and make them better, as better as we can. There, we did what we could with what we had. We were just doing a small portion of the job. We weren’t doing it all, we couldn’t save everybody,” said Eugene Rothman, a paramedic. The team offered hope and found inspiration of their own. “They’re very tough, resilient people. They’re amazing,” said Vojack. Aid continues to pour into Haiti. Over a billion dollars from governments worldwide has been flown in, as well as some 500 million through private U.S. charities.